Richard Long is one of the most famous British land artists, known for his groundbreaking pieces and original vision that earned him many prizes and awards. 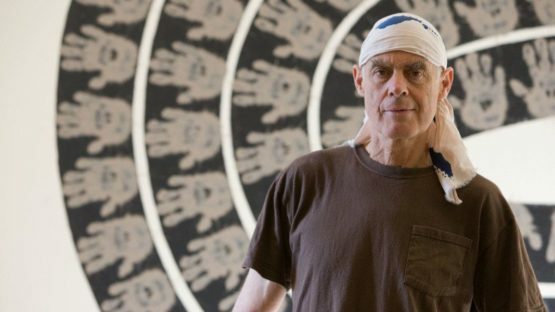 He has been a land artist who uses walking as a way of expressing himself since the late 60s but has been drifting to various other strategies such as text, sculpture, and photography during his prolific career as well. Long is known as the only artist that had been nominated for the Turner Prize three times before he received it. 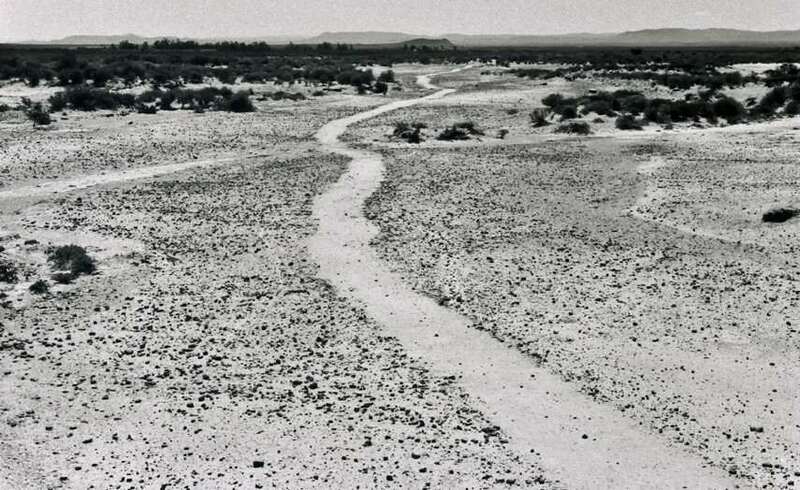 Namely, Richard Long has been short-listed in 1984, 1987 and 1988 and won the award for White Water Line in 1989. Richard Long has been born in Bristol in 1945, where he still lives and works. He enrolled the West of England College of Art in Bristol from which he was expelled after a work he did for an exam. As he recalls, it was the best thing that could ever happen to him since the conservative school wasn’t a fertile place for a young precocious artist and it was an essential reason for his further developing. Later he moved to London and studied at the Saint Martin’s School of Art. His first most famous early work A Line Made by Walking from 1967 was made while he was still a student. The idea that art can be walking and leaving his own footprints in the grass was a beginning of the vision of the art of being free to create anywhere and to be understood as a journey using time, space and distance. The uniqueness of his practice has been preserved on the photograph since its immanent nature is to be short-lived. Since 1967 Richard Long has created his own language in art. He has been walking and making this kind of conceptual, landscape art around the whole world, on various exotic places. 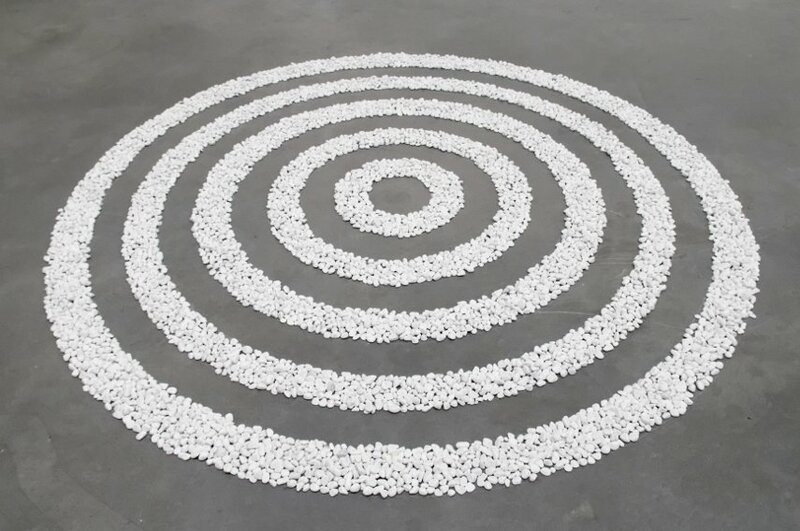 Aside from making art with his footsteps, Richard Long has been gathering materials, usually stones or wood from the place and creating temporary works of passage which are textually complemented since 1969 and documented by photography. In the 1980s Richard Long’s practice started involving wet mud or clay which he used to create pictures, series, and shapes of hand prints on the wall as well as making sculptures of lines and circles from slate, stone, driftwood. Richard Long notes the beauty of this process since the 80% of the image is made of water – the wet mud must be applied quickly in order not to dry which gives the whole way of making it a specific charm. As well, Long often uses the mud from Avon where he comes from which he connects with old archetypes of creation and origin of life. These cosmic splashes have their own will at the end, and his body, his hands, and his life are used as direct mediums, just as the natural materials; there are no tools between him and the substance. It’s the same with his walking sculptures. As Long explains, he is not interested in figurative art. Furthermore, he is the figure and the energy that makes his art, which he sees as a metaphor for him being in the world. Long understands it as the physical and direct bodily engagement with the world and the celebration of that universal contact. Since the communication is the main aim of his artwork he says that being an artist is all about making decisions; acts that are made in high solitude and intimacy but are intended to profoundly touch the other human being. 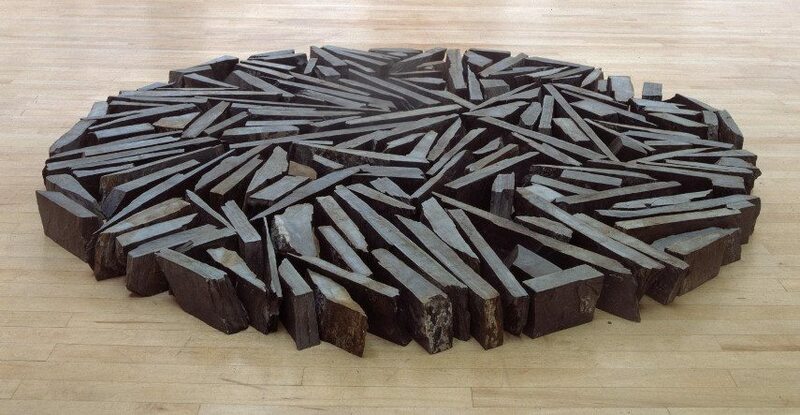 Richard Long’s work has been part of numerous exhibitions and international shows and museums worldwide. On permanent display, his work is part of the exhibitions in Britain at the Tate and Bristol City as well as the Museum and Art Gallery, and galleries in America, Australia, and Switzerland. In 2009 the Tate Museum had organized a retrospective show called Heaven and Earth. He has been a part of many important events in the art world, presenting Britain at the 37th Venice Biennale in Italy 1976. Aside from this, in 1990 he has received the Chevalier de l’Ordre des Arts et des Lettres from the French Ministry of Culture, furthermore in 2001 has been elected to the Royal Academy of Arts, London and in 2009 has been awarded Japan’s Praemium Imperiale for sculpture. One of the latest acknowledgments was from 2013 when he was awarded a CBE. Richard Long lives and works in Bristol, Britain.